Make a lasting impression with Healthmark’s 2-color custom labels. Healthmark offers labels in 34 different sizes and in 6 different colors: white, black, red, orange, blue and yellow. 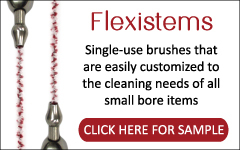 Labels are made from durable, industrial-grade vinyl and will endure even harsh environments. 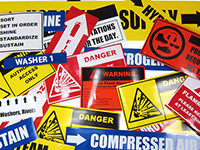 These labels can withstand temperatures ranging from -40°F to 200°F and are UV, water, chemical and smear resistant. Custom facility signage has never been easier!